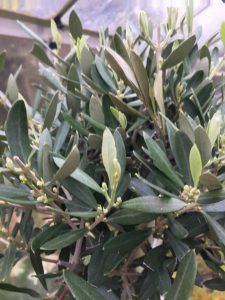 Olive tree – symbol of peace. I will start off with what humanism is not. It is not a religion and doesn’t have a dogma, list of rules or hierarchy of people who will tell you what you should be doing. It is more a philosophy of life based on a concern for humanity based on respect, equality and reason. A.C. Grayling expresses it well. In his book ‘The God Argument: The Case against Religion and for Humanism’, he quotes Plutarch who said: ‘the humanist is one who seeks to be informed, reflective, alert, responsive, eager for understanding and for achievement of the good: in short, to be a good guest at the dinner of life’. Humanism is ethical. It affirms the worth, dignity and autonomy of the individual and the right of every human being to the greatest possible freedom compatible with the rights of others. Humanists have a duty of care to all of humanity including future generations. Humanists believe that morality is an intrinsic part of human nature based on understanding and a concern for others, needing no external sanction. Humanism is rational. It seeks to use science creatively, not destructively. Humanists believe that the solutions to the world’s problems lie in human thought and action rather than divine intervention. Humanism advocates the application of the methods of science and free inquiry to the problems of human welfare. But Humanists also believe that the application of science and technology must be tempered by human values. Science gives us the means but human values must propose the ends. Humanism supports democracy and human rights. Humanism aims at the fullest possible development of every human being. It holds that democracy and human development are matters of right. The principles of democracy and human rights can be applied to many human relationships and are not restricted to methods of government. Humanism insists that personal liberty must be combined with social responsibility. Humanism ventures to build a world on the idea of the free person responsible to society, and recognises our dependence on and responsibility for the natural world. Humanism is undogmatic, imposing no creed upon its adherents. It is thus committed to education free from indoctrination. Humanism is a response to the widespread demand for an alternative to dogmatic religion. The world’s major religions claim to be based on revelations fixed for all time, and many seek to impose their world-views on all of humanity. Humanism recognises that reliable knowledge of the world and ourselves arises through a continuing process of observation, evaluation and revision. Humanism values artistic creativity and imagination and recognises the transforming power of art. Humanism affirms the importance of literature, music, and the visual and performing arts for personal development and fulfillment. Humanism is a lifestance aiming at the maximum possible fulfilmentthrough the cultivation of ethical and creative living and offers an ethical and rational means of addressing the challenges of our times. Humanism can be a way of life for everyone everywhere.